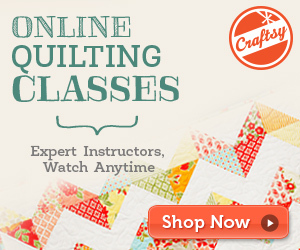 Don't miss out on Craftsy's Whale of a Flash Sale! Just 48 hours to enjoy up to 70% off fabric, yarn & kits before they sell out. Click quick to save! Hurry, offer expires August 22nd at 11:59pm MT. Shop Craftsy's Whale of a Flash Sale!